I headed out on Friday evening and with it being the first day that I felt a proper chill in the air, I was pretty excited to slip back in to my jeans and wear something with long sleeves for a change. I recently did a bit of a haul in Zara (more on that later this week…) and picked up this feminine, floaty blouse. It has a chic, Victoriana vibe to it with quite a high neck and crocheted detailing down the front. Made me feel all sorts of pretty! 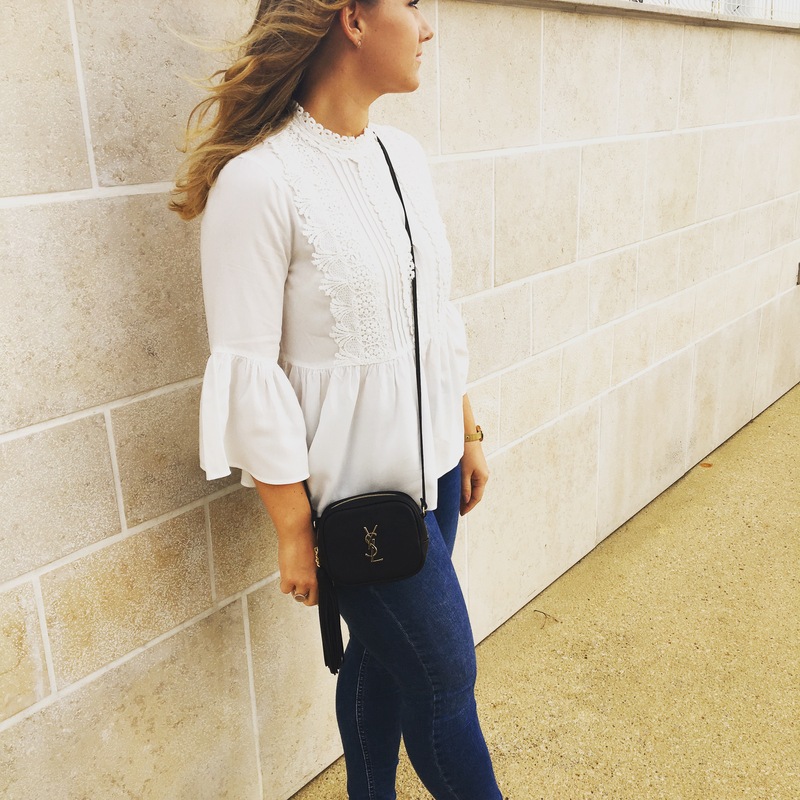 I teamed the white blouse with my all time favourite style of jeans, the Topshop Jamie Jeans in Indigo. They’re super tight all the way down to the ankle – I can’t stand skinny jeans that for some reason become baggy from the calf down to the ankle – and they hold their shape really well. I think I’ve got about 4 pairs of them now in various colours and considering I wear them all to death, they last quite a while before needing a revamp. To finish off the look, I put on my tan leather thong sandals from Les Tropéziennes and my new YSL Blogger bag – any excuse to wear this bad boy.